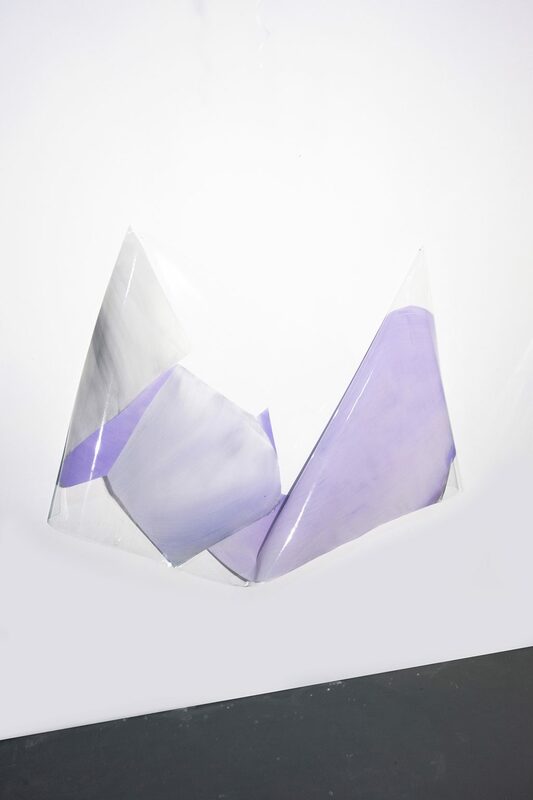 Glossy side Up is a solo presentation of recent work by Berlin-based artist Julia Lia Walter. 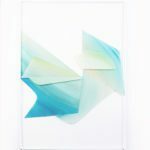 Since the beginning of her studies, Walter’s experiments with merging digital and analogue technologies have expanded the definition of traditional painting. 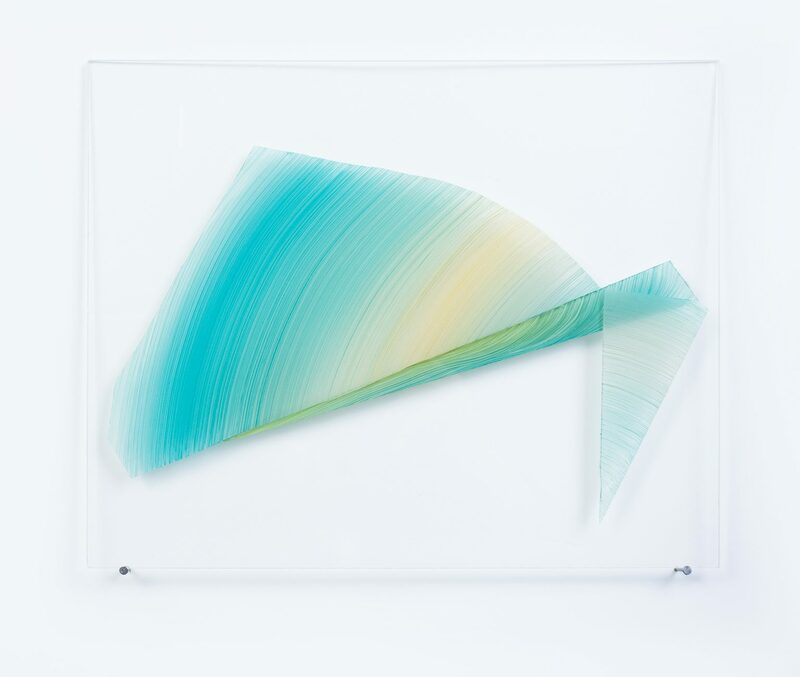 Using light projections and acrylic paint on transparent plastic surfaces, Walter creates abstract, multi-dimensional works which explore harmony, time, and nature in complex and innovative ways. 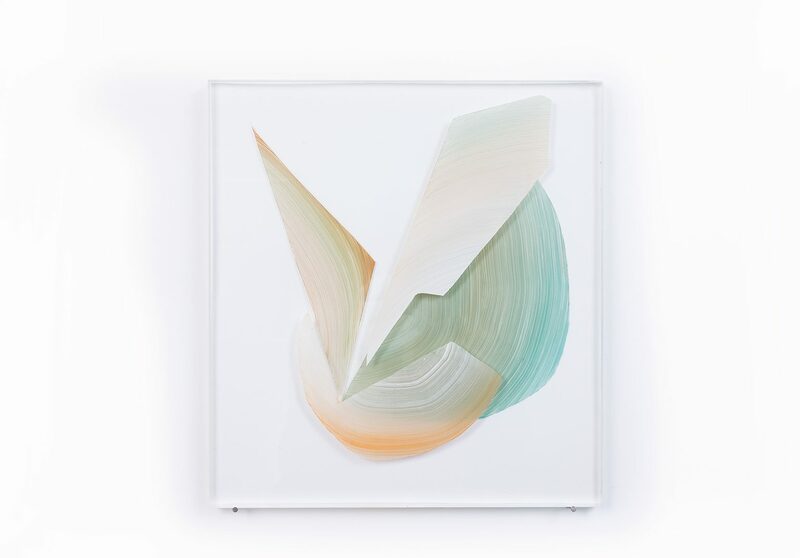 Using a unique formula of iridescent emulsion to paint on both the recto and verso of coloured Plexiglas fragments and large sheets of transparent foil, Walter destroys the logic and rules of space, pushing our understanding of the dimensionality of painting and what constitutes a canvas. 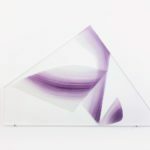 In Walter’s smaller plexiglas works, light enters each layer from multiple angles to produce refractions and shadows that create a sense of completeness and harmony. The geometric certainty of the straight lines and sharp edges is counterbalanced by the undulating sweep of visible, expressive paint gestures. 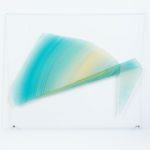 Taking inspiration from environmental structures, ecosystems, and natural formations which are continually growing or in the process of developing, Walter’s colours and forms are reminiscent of ice-flows, mineral specimens, unfurling petals, or tree rings. 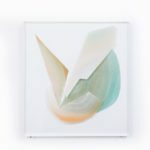 When viewed in series, her watercolours on paper have a quiet exactitude and analytical quality reminiscent of natural history studies; each shape is determined by the meticulously positioned pigment within a single, precise brushstroke. 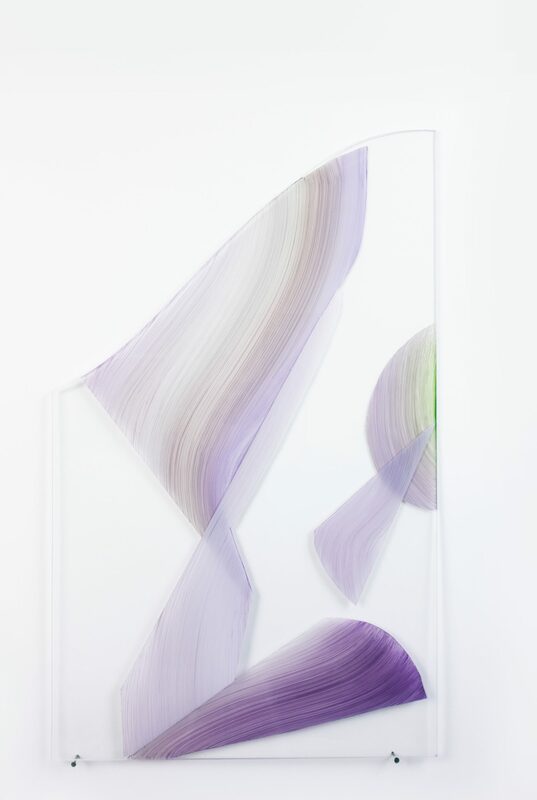 In Very very slightly (VVS1) (2018), Walter alters the thickness of her paint marks to manipulate the suppleness and rigidity of the transparent foil structure. 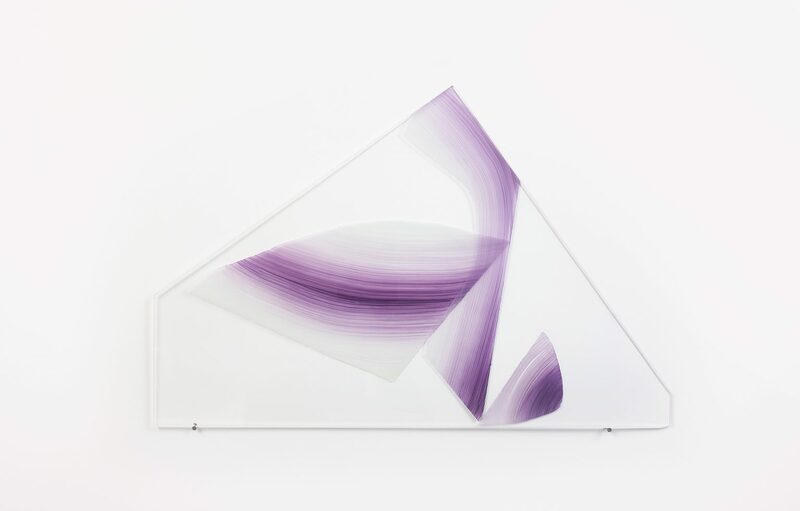 Multiple planes of materiality are superimposed, so that the boundaries between the sculptural form, applied acrylic, and light projection are barely discernible. 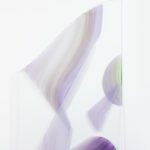 Subtle changes in colour and form all working in relation to one another are dependent on the perspective of the viewer and responsive to the surrounding gallery space. 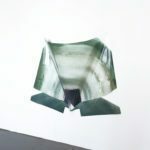 The piece has an otherworldly quality, appearing to be suspended in an alternate universe and temporality as if submerged in the deep ocean or outer space. The viewer is encouraged to slow down and enter a geological, celestial, or glacial timeframe of contemplation and observation. Julia Lia Walter (1984) grew up in the Lake Constance region of southern Germany. 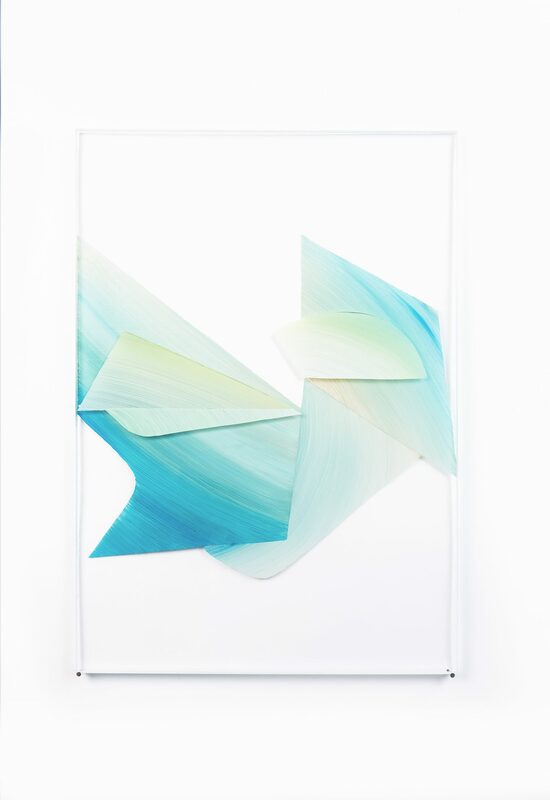 She first studied at the Academy of Art Mainz and went on to complete a Masters in Fine Art at the University of the Arts Berlin under the tutorship of Pia Fries. 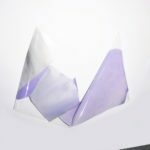 After being awarded the DAAD Postgraduate Scholarship in 2016, Walter undertook a three-month residency in Tokyo which culminated in two solo exhibitions at Gallery Cave, Tokyo and Paradise Air, Matsudo. 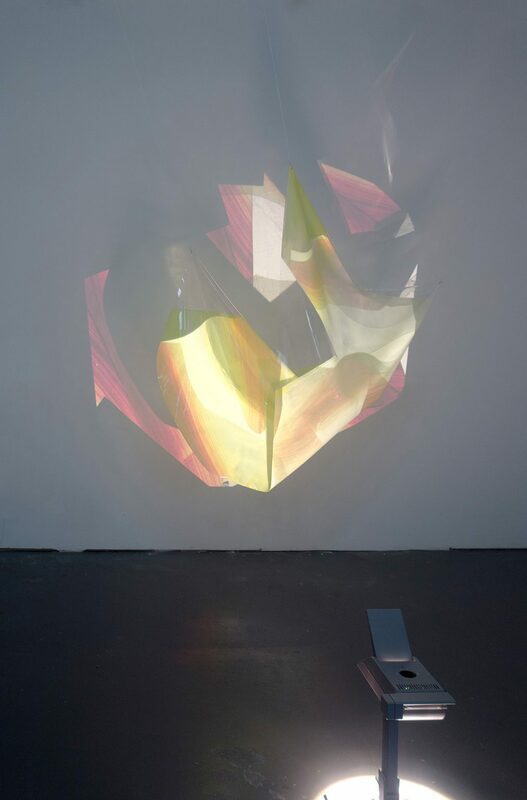 Walter’s research and experiences in Japan had a profound influence on her work and provided the starting point for her experiments with large-scale installations incorporating video projections and sound loops. 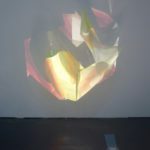 Walter has exhibited widely across Europe including solo and group exhibitions at DISPLAY, Berlin, The Goethe-Institut Paris, the Museum Wiesbaden, the Museum Boppard, and the Art & Culture Foundation Opelvillen Rüsselsheim. 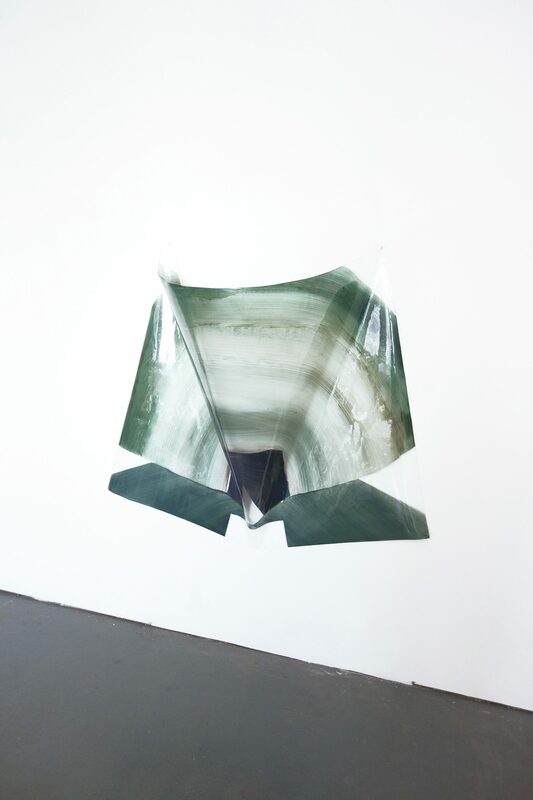 In 2017 she was awarded the Emy Roeder Prize from the Kunstverein Ludwigshafen.